Tiger shot 68 on Thursday in his opening round at the Arnold Palmer Invitational and was on the first page of the leaderboard. 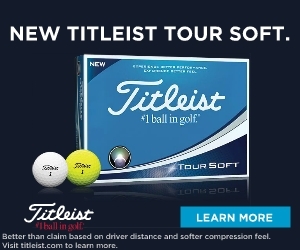 On Friday, I checked Golf.com’s website; there were 11 stories in the top section. Six of them were about Tiger; just one of them about leader Henrik Stenson. One story ran with the following headline: “Here’s a recap of every shot from Tiger’s first round at Bay Hill.” Every shot? I’m pretty sure they didn’t do that after Dustin Johnson won the U.S. Open. I mean, every shot? This was just the first round of the Arnold Palmer Invitational for crying out loud. Tiger Woods has played five tournaments since the start of his comeback - finishing T23, MC, 12, T2 and T5. He is ranked 105th in the world and 35th in FedEx Cup points. Guess who the favourite is to win the Masters in a few weeks time? Wow! Tough guess huh? Tiger is at 8:1 odds to win his fifth green jacket. Dustin Johnson, Rory McIlroy and Justin Thomas are at 10:1, while Jordan Spieth checks in at 14:1. Three time Masters winner and recent WGC winner Phil Mickelson is at 16:1 and poor old Sergio Garcia, who happens to be the defending champion, is way down the list at 30:1. All this attention for a guy whose best finish this year is a tie for second. Can you imagine what it will be like if Tiger wins again or wins a major? Maybe it’s too much too fast. Nobody was expecting much from Tiger when he began this latest comeback at age 42, after his fourth back surgery. Lots of hope for sure. But not a lot of high expectations. Even Tiger didn’t know what to expect. The fact is that no other top athlete has ever had the kind of fusion surgery Tiger had and come back to any sport and performed at or near his or her previous level. At the Valspar Championship, Tiger recorded the fastest swing speeds of the week and was hitting his drives past everybody. The crowds love it and it’s pretty clear he’s the main event again. 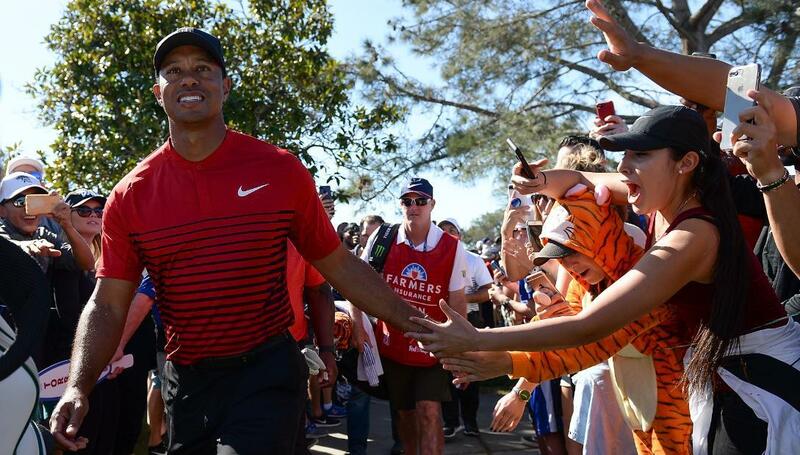 On Sunday at Bay Hill, only a few hundred people were following leaders Henrik Stenson and Bryson DeChambeau compared to thousands who were lining every fairway and green five and six deep to catch a glimpse of Tiger. There’s a different vibe to the crowds too. The excitement level is at the same fever pitch it was in the old days but now the fans just seem happy that he’s back, like something was missing from their lives and now it’s there again. Tiger seems to notice it too. He smiles more than he used to; he waves; sometimes he even interacts with the crowd. The old Tiger never did that. Occasionally, there’s a look of confusion or uncertainty. The old Tiger most certainly never did that. He would snarl and spit and walk past everybody without a glance. He was imperious and arrogant. He had that glare in his eye as he put his foot on the throat of his nearest competitor and didn’t let up until the last putt dropped and the trophy was his. Even then he was rarely magnanimous in victory. It’s too early to know if this kinder, gentler Tiger is here to stay or if it’s just another persona he’ll wear until he learns how his mended body will perform. Maybe if he gets his confidence back, he’ll become old Tiger again. The fans don’t care. Old Tiger, new Tiger, they’re just excited to have him back in any form. The players all profess to be happy to have Tiger in the field again too. Some of them have seen this movie before. Ernie Els, Phil, Adam Scott, Justin Rose have all competed against Tiger their whole careers. They’ve seen the crowds and experienced the defeats but they also know that the extra zeroes in their paychecks are directly attributable to him. For the younger players that grew up watching Tiger or perhaps even idolizing him, it must all be a shock. For the last few years, some of them have been the biggest show in town. Just a couple of years ago we were ready to anoint Spieth, McIlroy and Day as the new Big 3. They had the crowds, the TV time and all the stories. Now, when Tiger’s playing, they’re lucky if their own Mom is watching them. Mickelson, who is second to Tiger in almost every meaningful category, says that despite how well he does, Tiger always seems to one-up him. Can he continue to do that? Tiger has two significant records he’s chasing, despite the dozens he already owns. He wants to pass Sam Snead’s 82 wins and he wants to pass Jack Nicklaus’ record 18 majors. Until his latest series of misadventures, those two goals were enough. Only time will tell if any of that is possible. One thing is certain though: Tiger’s comeback is way ahead of expectations and in spite of all the other highlights on the PGA Tour, he’s proven once again that he’s still the most exciting player in the game.